Steve is gone. I waited a few days before writing about it, yet it still feels unreal. The man who created Apple, the company that essentially created modern computing and more, is gone. It was widely known that he was sick, and those who follow Apple-related news and rumors had a feeling that it was only a matter of time when he decided to step down as Apple CEO in late August. He had said that, should his health not allow him keep that position any longer, he would do so; and a month a half ago, he did. We knew it was coming, there’s no denying that. The forum posts at that time were ripe of surreal optimism, as if we were all thinking the same thing but refused to speak it out loud: he may not be CEO, but he’s still in the board, so he will still direct the company’s future. Michael Grothaus of TUAW posted his first-hand experience with Tim Cook years ago and stated that he would be a good CEO, though of course he would be different from Steve; that was proven during presentation of the iPhone 4S, just two days before Steve’s departure. In hindsight, however, the people on stage certainly knew about Steve’s situation, and that explains the lack of enthusiasm. That was nothing, however, to what came later. Worldwide press wrote about his life and his death. He has been defined a visionary, a man ahead of his time. His 2005 Stanford Commencement address has been widely referenced, because it shows what Steve was all about. He was a great speaker. He was able to share dreams. A few voices rose against this media frenzy about him. He was just a skilled salesman, some said. He should not be hailed as a god on earth, because the company he founded is just another multinational capitalist group that abuses poor workers in remote areas of the world. These people forget that Apple last year started paying direct subsidies to Foxconn employers, and that Foxconn also manufactures products for other companies, such as Dell and HP. Moreover, there is nothing inherently wrong with being a skilled salesman. I don’t know what will happen to Apple now. As an avid Apple user since 2001, and as an iOS developer (my app, Quick Whois, is available on the App Store), I am a little bit concerned. I switched to Mac before it created its “Switch” campaign, and I haven’t looked back once. That is not to say that I despise other systems: like any other craftsman, I realize that each job requires the right tool. I prefer to work on my Mac, however, and I am naturally interested in knowing whether it will keep innovating or not. Some sources state that Steve left four years worth of plans for the company. As great as I think Steve was, I doubt that that’s the case. Certainly he trusted his closest colleagues and shared his vision with them, and I wouldn’t be surprised if, ten years from now, I will be posting on a blog – or whatever else we will post on then – that once again, Mr. Jobs had gotten it right. However, it is hard to believe that he left plans for future products. While Apple has indeed been ahead of the times and renewed the industry countless times, the technology Apple uses also depends from other manufacturers. Yes, perhaps next year Apple will introduce a MacBook Air based on an ARM-based CPU, but that’s as far as his “plans” could have gone. We don’t know, for instance, how long (and indeed, whether) copper-based Thunderbolt will be popular enough for people to consider switching to fiber optics. Still, I won’t deny that I find it somewhat amusing to imagine Steve as a real-world Hari Seldon, laying down future plans for humanity thanks to his studies in psychohistory. 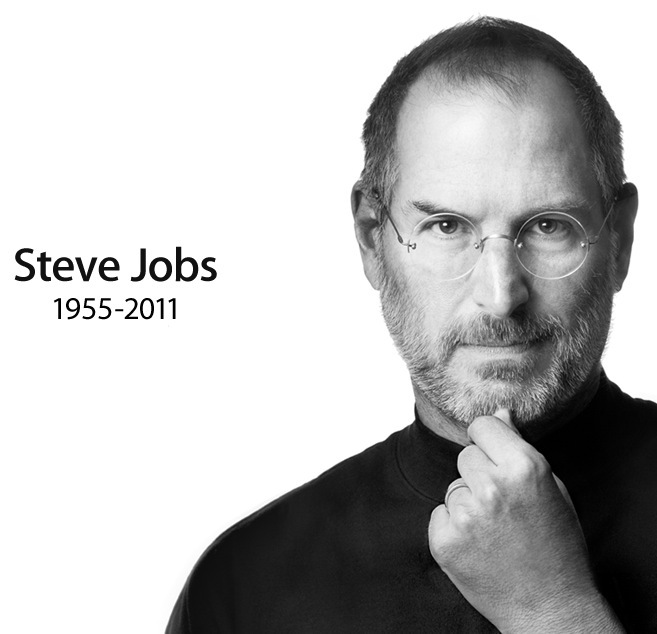 In any event, I think that there truly was no better tribute to Steve’s influence than having tens, or indeed hundreds, of millions of people learn about his departure through a device he envisioned and blessed, whether it was a Mac, an iPhone, an iPod Touch or an iPad. Or, why not, a Newton. It is no mystery that I have a passion for photography. Having published two books and posting regularly on my Flickr stream, and knowing the theory of optics in addition to just snapping around, I think I know what I’m doing. Mind you, this does not mean I consider myself an artist. It may sound cliché, but I am strongly convinced that artist is a definition that others should cast upon you, rather that something you call yourself. In fact, despite what I am often told, I do not feel like my photography is that good. It’s not false modesty: I really don’t think so. However, ever since the introduction of cheap compact cameras (and, god forbid, cheap reflex cameras), photography became mainstream. There is nothing inherently wrong with it – the more the merrier, right? – yet there are some trends in photography that I simply do not understand, and some that are just plain bad. Needless to say, these annoyances are most often perpetrated by hipsters or (gasp!) wannabe hipsters. Now, it has to be clarified that my concept of hipster includes not just the traditional, American-ish hipster, but more generally all those “subcultures” – trust me, quotes were never more appropriate – that strive to be alternative and ultimately fail to be unique. This includes, admittedly due to my cultural vantage point, the decadent leit-motif that seems to permeate the life of Italian teenage girls and young women. I may write specifically about this matter, as it’s not specific to photography. So, without further ado, let me present a roundup of the most annoying trends in photography today. It goes without saying that this is merely my personal opinion.